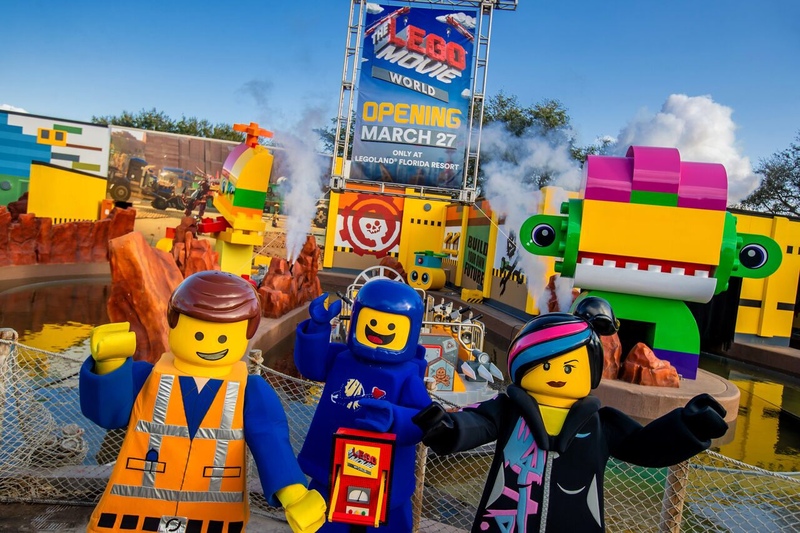 Legoland Florida is getting ready to kick off their very first seasonal event since the park opened back in October. 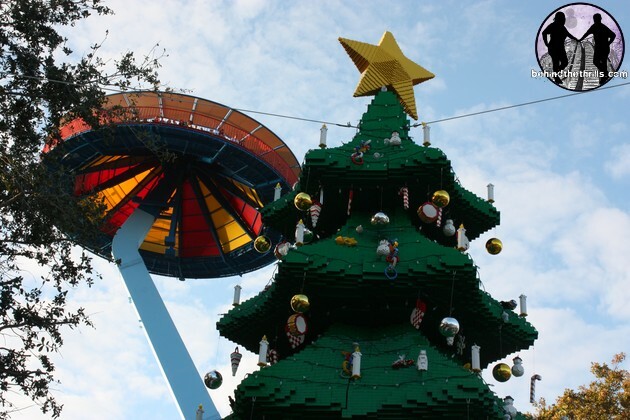 Beginning on December 8th, Legoland will kick off their very first “Christmas Bricktacular” event. Adrian Jones tells us a little bit about the event in 60 seconds. 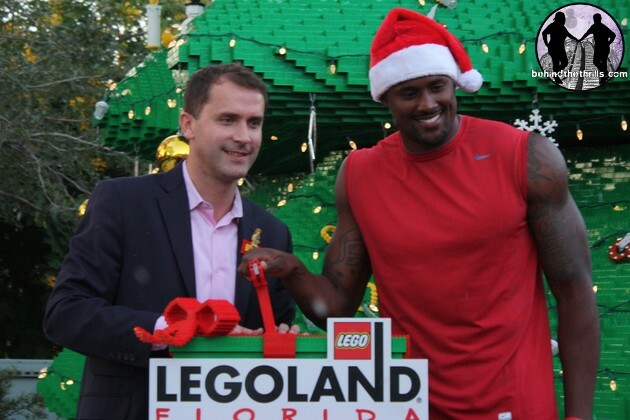 Though the event doesn’t kick off until Thursday, the park held their very first tree lighting ceremony with special guest, David Oliver, bronze medal winner in the Olympic 110 meter hurdles. As you enter the park and turn the corner, the tree is quite a sight and it’s something that’s not easy to miss at all. The tree is composed of a mixture of 270,000 forest-green Legos and Duplo bricks. 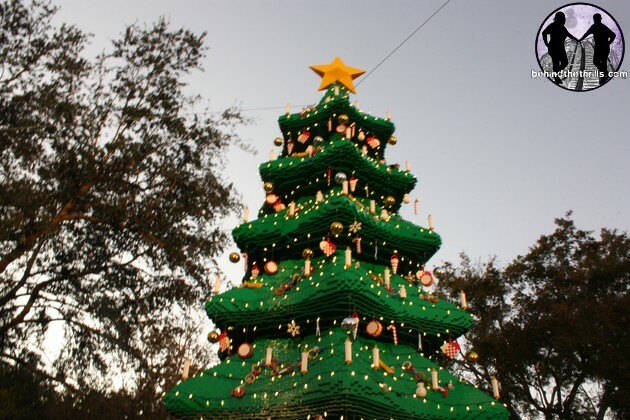 The tree stands 30-feet tall. 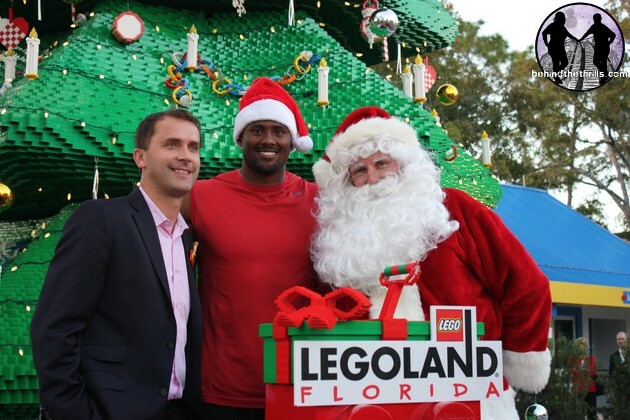 Legoland hosted David Oliver, a 2012 Olympic Track & Field favorite, to assist in lighting the tree for the very first time. Jolly ‘ol Saint Nick even showed up to help get the kids and crowd excited about the tree lighting! 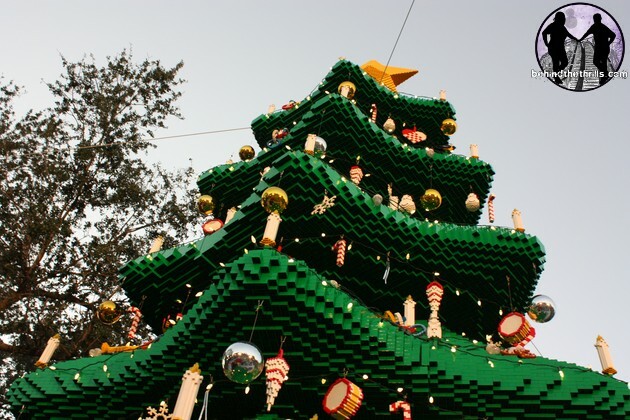 Each night during the Christmas Bricktacular, a family will be selected to assist in lighting the tree nightly through December 31st. The tree is beautiful at sunset all lit up. I can’t imagine what it would look like after the sun sets. It even snows at Legoland! 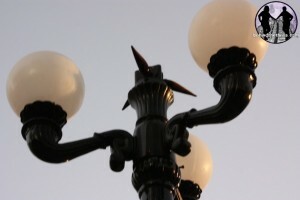 The lamps along the streets spurt snow occasionally. 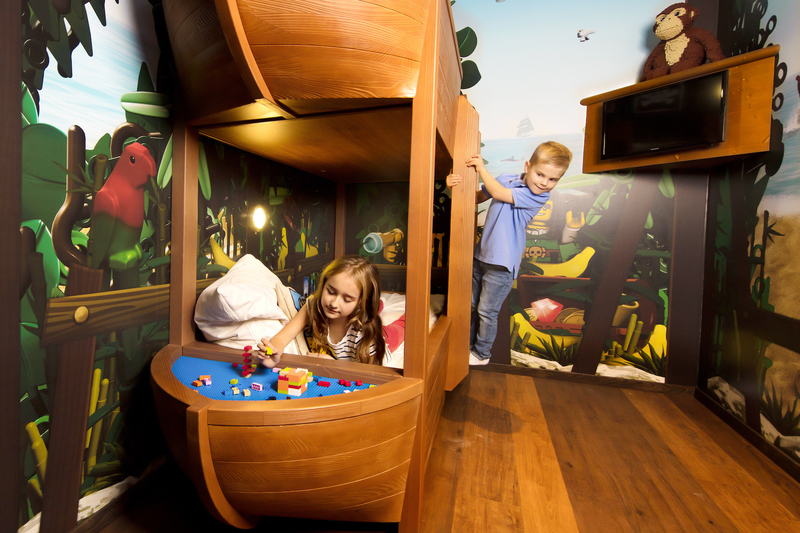 I recall seeing something very similar to this at IAAPA in 2010. 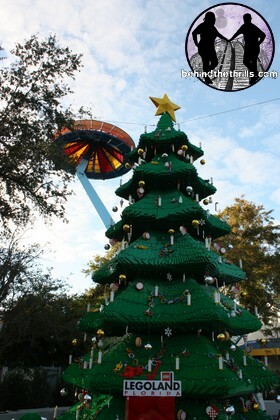 I’m glad to see it’s actually being implemented in the parks! 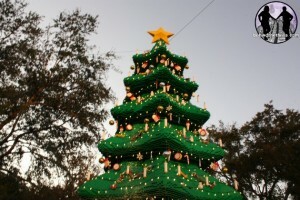 You can view more pictures from the first tree lighting below. For more information about Legoland Florida, visit http://florida.legoland.com. 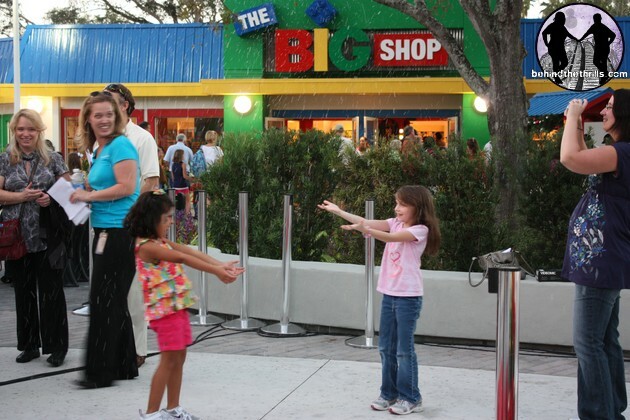 Previous PostHarry Potter to cast a spell over Universal Hollywood Next PostHollywood Drive in Mini Golf "We got cows!"